On Monday, the National Transportation Safety Board released the result of its near two year investigation into the battery fire event on a Japan Airlines 787 at Boston's Logan Airport in January 2013. 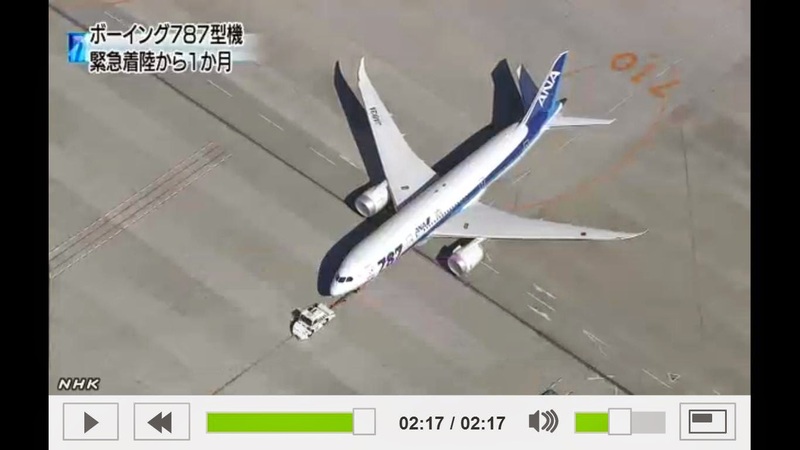 The NTSB follows by three months, a similarly exhaustive probe by the JTSB, its Japanese counterpart, into another Dreamliner battery problem nine days later that same year on a All Nippon Airways flight. Neither agency pinpoints the exact trigger of the thermal runaways that occurred on the world's newest airliner, more than 200 of which are in revenue service in far flung places from Chile to Poland to New Zealand. But both probes conclude with the same frightening message; there's a lot the experts don't know about how to safely incorporate this volatile battery chemistry into aviation. Even now. One would think that GS-Yuasa, the 97-year old Kyoto-based company hired by Boeing had enough experience to safely churn out the batteries that would provide start-up and emergency power to the 787. GS-Yuasa was already producing lithium ion for satellites and electric vehicles. But during its tour of the company, the NTSB investigators found manufacturing processes that increased the possibility of defects - including opportunities for foreign objects to be embedded inside the cells - and inspection procedures that made their discovery unlikely. The most surprising find, was that the use of aluminum at cell joints can create temperatures high enough for the cell to fail and even cause thermal runway. And while the use of an underrated material was not in Boeing's specs, neither the plane maker, nor its subcontractor, Thales, noticed that discrepancy or that the required terminal attachments were missing a compression system. "Without such devices, additional causes of joint degradation," could be many, the NTSB reports in a footnote. When the men and women who would one day fly the 787 Dreamliner, worried in 2007 about the inherent risk of fire if the lithium ion batteries were to suffer a thermal runaway, the pilots were given this assurance by the Federal Aviation Administration; There will be no fire. That's how convinced the FAA was by assurances from Boeing that it understood the complexities of lithium ion and had caged its hazards. The dangerous nature of cobalt oxide lithium ion batteries was certainly well-known in 2006 when Boeing made the decision to use the powerful and fast-recharging source to provide start-up and emergency power on the airliner. That was the year that laptop, cell phone and other electronic devices powered by the same flavor of lithium ion were spontaneously erupting into flames. Millions of batteries were recalled, in the largest such event in history. Still, the FAA did not require that Boeing consider the "most severe effects" of using the chemistry; in effect keeping their eyes tightly shut to even the possibility of thermal runaway. There was no requirement that the batteries include a failure mitigation system. This explains the NTSB's statement in the final report, that "Boeing failed to incorporate design requirements in the 787" batteries that would "mitigate the most severe effects of a cell internal short circuit." From my initial reading of the Japanese and American examinations of the January 2013 battery events, two possibilities emerge. Either Boeing, Thales, GS-Yuasa and the FAA simply ignored the risks in their race to bring the revolutionary fuel-efficient airplane to market, or they vastly underestimated the challenge. I'm told by someone in the know, Boeing and the FAA were guilty of nothing more than ignorance. 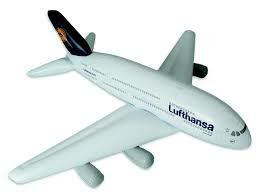 Boeing relied on GS-YUASA and the FAA relied on Boeing. "They did what they thought was right, but you don't know what you don't know," this source told me, adding, "and the FAA did the same." The scenario presented in the 100-page report reminds me very much of the 1996 inflight explosion of TWA Flight 800. (My e-book on the crash available by clicking here.) Although it was clear early on that the plane's center fuel tank blew up, the ignition source was unknown. Only after the safety board investigators began creating lists of what could have triggered the blast did they realize how often planes were flying with fuel tanks in a volatile state. The specifics became less important than finding a way to make the inevitable survivable. Several months into its investigation into the Dreamliner fire, the NTSB held a symposium to learn more about nature of these pesky batteries and in the process began creating a similar list; how many ways could a lithium ion battery fail? Thousands of pages document the tests, inspections and analysis the Japanese and American safety authorities have conducted searching for the answer and many things remain unknown. The list gives way to a number of recommendations for better ways to handle lithium ion batteries on airplanes and explains the conclusion that as of now, they are not safe enough.